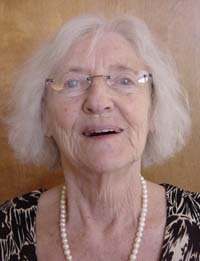 Anna L. Williams, 86, born to Philip and Emelia Seibel on Feb. 25, 1926, in Rosebud, S.D., passed away on Friday, July 13, 2012, in Boise, Idaho. She had three sisters, Helen, Mary and Viola, and a brother, Adolph. She grew up in the Treasure Valley area, going to school at Happy Valley in Nampa, Idaho. She married Robert K. Williams of Boise, Idaho, on Feb. 20, 1947, and became a part of the already large Williams family, which still continues to grow. Part of that growth were her four children, Bob Williams (Wilsonia) of Bethesda, Md., Gordon Williams of Ketchum, Idaho, Colleen Williams (Terun) of Bellevue, Idaho, and Suzanne Doolittle (Brantley) of Meridian, Idaho; as well as three grandchildren, Sarah Doolittle (Andrew), Daniel Doolittle and Anne Elizabeth Williams. Anna and Robert were married for 60 years and continued to live in Idaho for the duration of their lives. During this time they lived in Boise, Mountain Home and Ketchum, eventually retiring back in Boise. She worked at various jobs throughout her life but her main jobs were that of a wife and mother, which were her biggest challenges of all. She worked hard, moved quickly and was very strong for such a little woman. Her biggest passion in life was her family. Anna was preceded in death by her husband, Robert, her siblings Helen, Mary and Adolph, and her parents, Philip and Emelia. The family wishes to thank Willow Park Assisted Living and Hearts for Hospice for all their help and compassion in making the last few years of Anna's life better. A graveside inurnment service was held at 10:30 a.m. on Monday, Aug. 6, 2012, at Terrace Lawn Memorial Gardens, 4225 E. Fairview Ave. in Meridian. To share memories with the family please visit Anna's memorial webpage at www.cloverdalefuneralhome.com.